Spring 101: Everything you need to know to prepare your flower and herb garden after winter. Look around, garden preparation spring is the next step in your garden after winter. The signs of spring are starting to appear. The earth that has remained dormant all winter long reawakens in breathtaking fashion. The blooming white snowdrop breaks its slumber and is soon accompanied by the flowering, multicolored crocus and primulas. The majestic pink background you see is a canvas of heather—which provides the perfect ground cover for any garden. Also jumping out of its sleepy flowerbed is a collection of hyacinths, English daisies, daffodils, and tulips. Their bright and vibrant colors explode like fireworks in the sky. 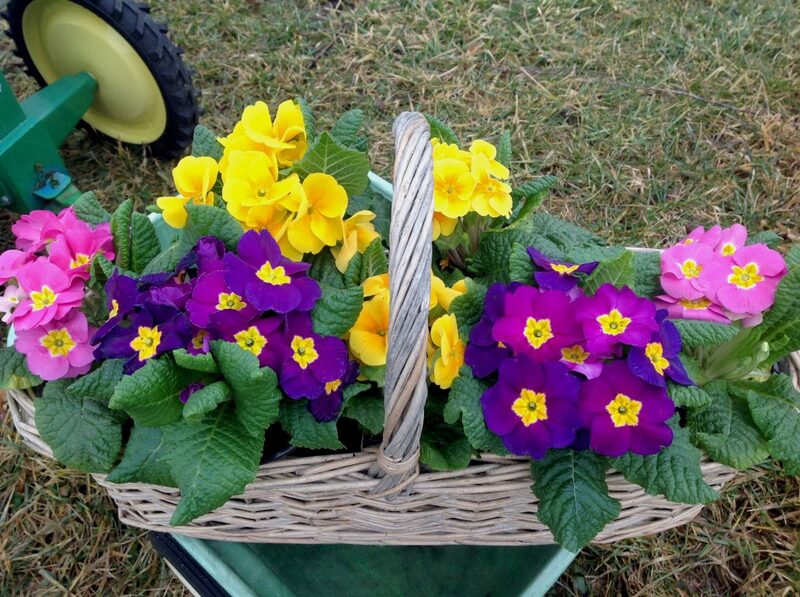 The splendor of these blossoms can be beautifully complemented by baskets of pansies. The sprinkling of yellows, pinks, and violets are sure to awaken your surroundings. 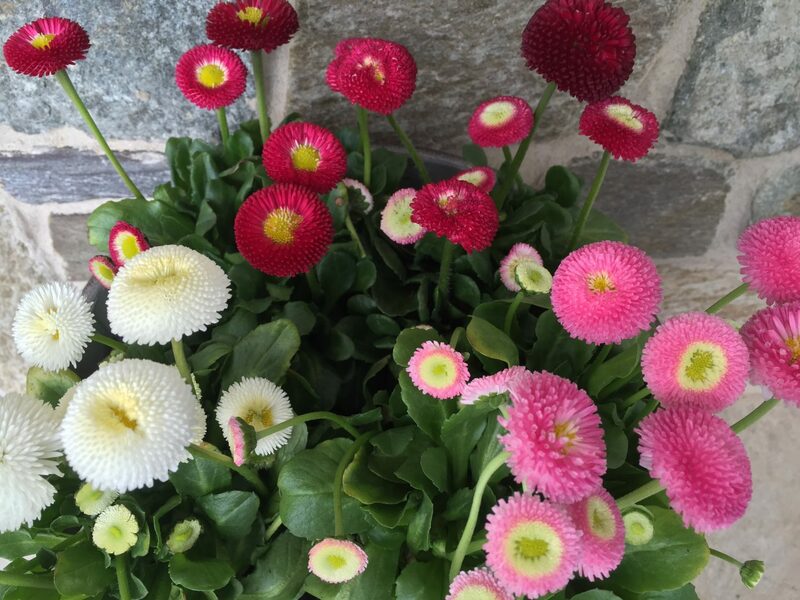 Just like those spring flowers, it’s time for homeowners to end their hibernation. Start by inspecting your faucets and hoses for damage by Old Man Winter. And while you’re at it, give your tools and lawn equipment a thorough look. If any professional repairs are necessary, take care of them soon—before your local shops get inundated with service requests. Before you start cleaning up your lawn of dead leaves and small branches, consider cutting back your trees and bushes. Even if you’ve done it last fall, you may want to give it another glance. Don’t be afraid to cut too much. (It’s always better to cut too much than too little). After trimming, you can tend to your lawn. Clearing the yard of natural debris will help ventilate the grass—preventing disease and fungus. When should you bring out the lawn mower? Generally in late march. However, it’s best to let your turf strengthen and grow to 2-3 inches before your first cut. After that initial cut is when you want to fertilize your lawn. So have at it. 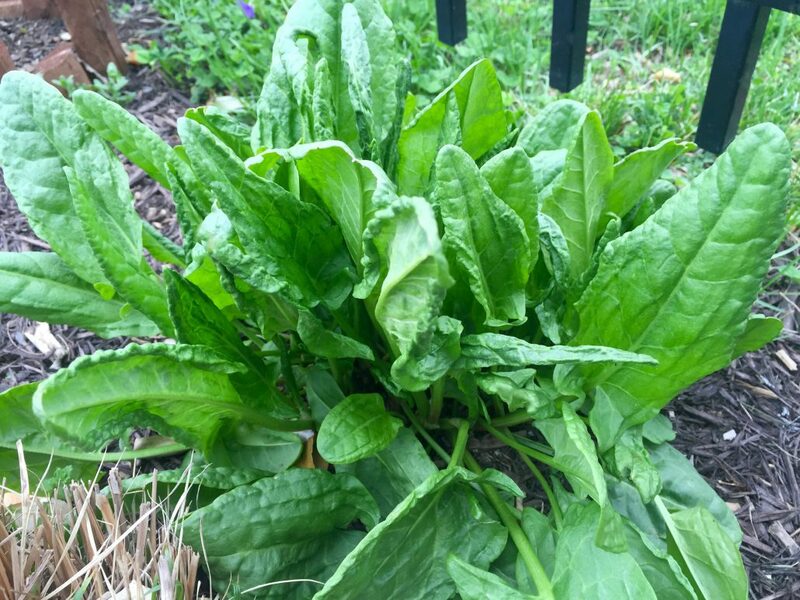 Clean up your flower and vegetable beds from old leaves after the last frost, so that young shoots won’t rot under the layer of moisture. 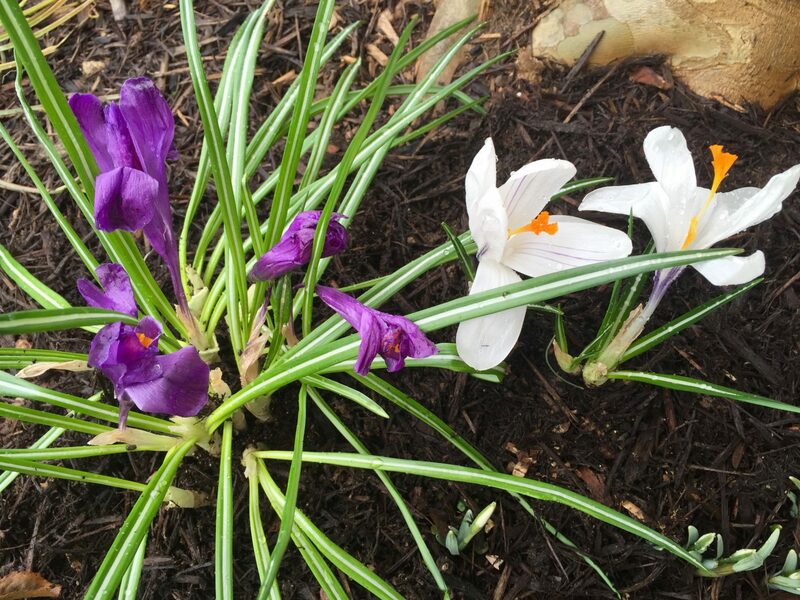 Carefully loosen up the soil around the plants, being mindful not to damage your spring perennials and flower bulbs. Once you’ve tended to your lawn and beds, it’s a good time to think about filling those gaps in your garden with new bushes, ornamental grass, or new perennials. I started using some fruit bushes—such as red, black, and white currants; gooseberries; raspberries; and blackberries. They not only fill the gaps, they also provide fresh fruit—from your garden right to your table. I ordered my fruit bushes online from Krieger Nursery and was very pleased with the quality, convenience, and overall service. 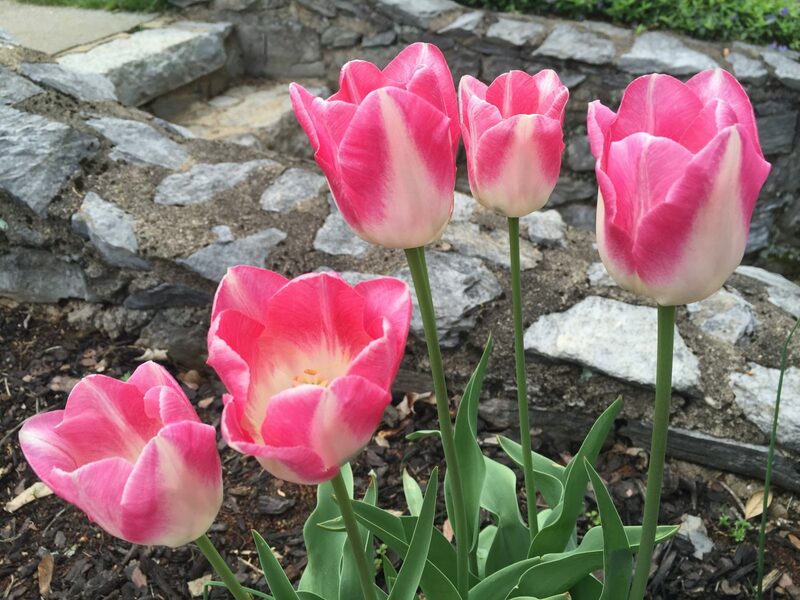 Whereas the bulbs for the spring flowers are planted in fall, now’s the time (starting in March or after the last frost) to plant the bulbs for outdoor summer flowers. In addition to your local nursery, you can also find a great assortment of bulbs at Lowe’s and Home Depot. Some of the most common bulbs are gladiolus, dahlias, blazing star, and lilies. Especially after a cold winter, you don’t want to immediately plant the herb seeds in your garden soil. You can easily find starter seed sets in the garden section of your local home improvement stores. 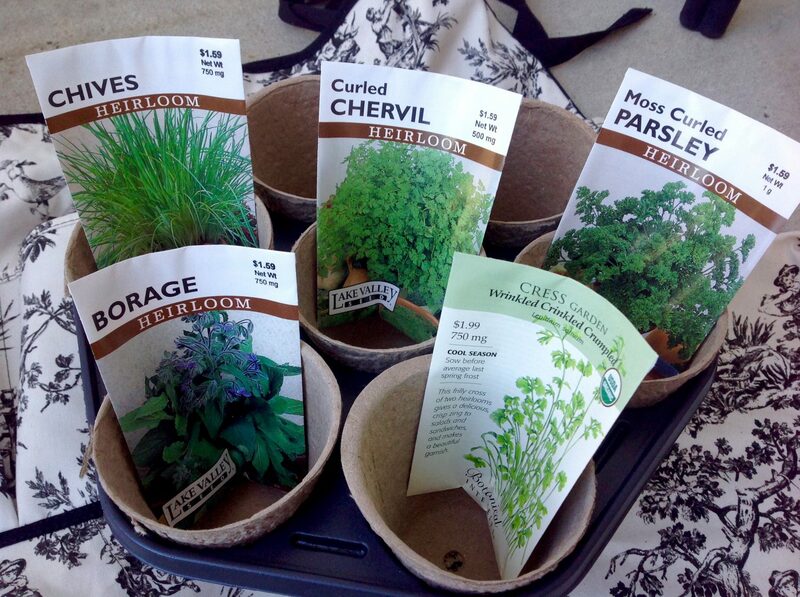 When it comes to your herb garden seeds set, you have a variety of choices. I prefer the self watering sets the most—although they are a bit more expensive. Year after year, I’ve been replacing the simple seed sets with the slightly more expensive ones and the results have been amazing. Besides, the real value is, you can reuse the self watering sets again and again—saving you money in the long run. What kinds of herbs should you choose? Well, that really depends on what you like to cook. The basis of my herb garden has always been to have the seven What kinds of herbs should you choose? Well, that really depends on what you like to cook. The basis of my herb garden has always been to have the herbs to make the classic German Frankfurter Green Sauce. This authentic sauce from my homeland includes garden burnet, sorrel, chives, chervil, parsley, borage, and garden cress. It is often served with hard boiled eggs and potatoes. I further enhanced my herb garden with dill, savory, and lovage. Savory tastes fantastic in green bean salads or with cooked green beans. For all my other herbs, I simply purchase little plants—instead of growing from seeds. Some of the herbs are annual, which need to be sowed or planted every year. 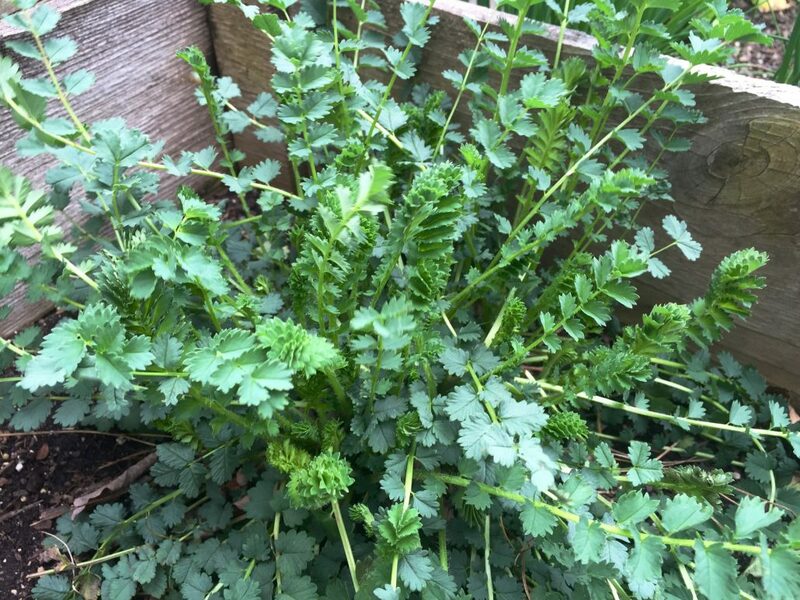 Others are perennials, such as the garden burnet, sorrel, chives, garden cress, and lovage. After winter, the grow back from their root stock and can live for several years. After you have finished cleaning, cutting, planting, and sowing, you can start to add mulch to your garden (if you haven’t done so in the fall). Note: Whatever you decide to plant or sow, don’t forget to mark those spots and write down what you’ve added to your garden. 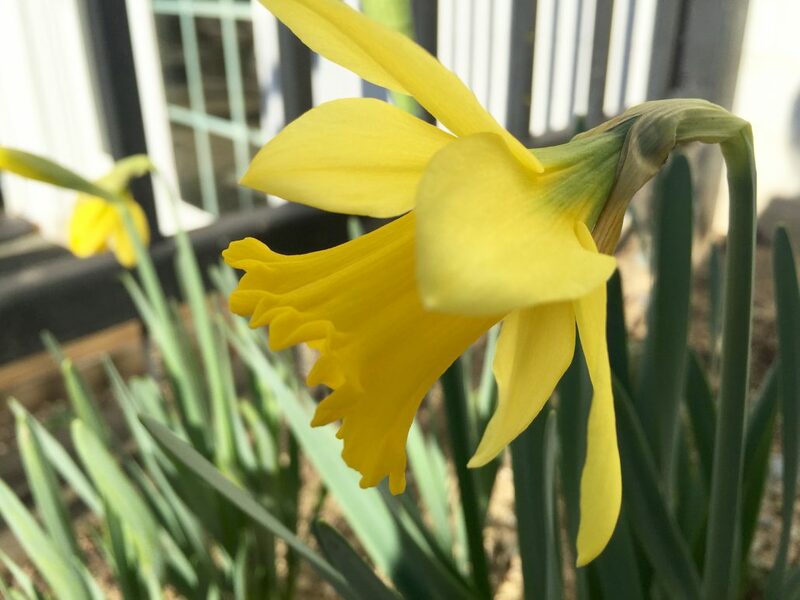 I wish you a beautiful spring awakening—filled with nice weather, lots of sunshine, and successful gardening with the garden preparation spring tips. https://www.theomaway.com/wp-content/uploads/2015/03/IMG_0115.jpg 524 1280 Oma https://www.theomaway.com/wp-content/uploads/2017/02/Oma-Logo-Authentic-German-Recipes.png Oma2015-03-21 18:21:032017-05-02 07:47:32Spring 101: Everything you need to know to prepare your flower and herb garden after winter.